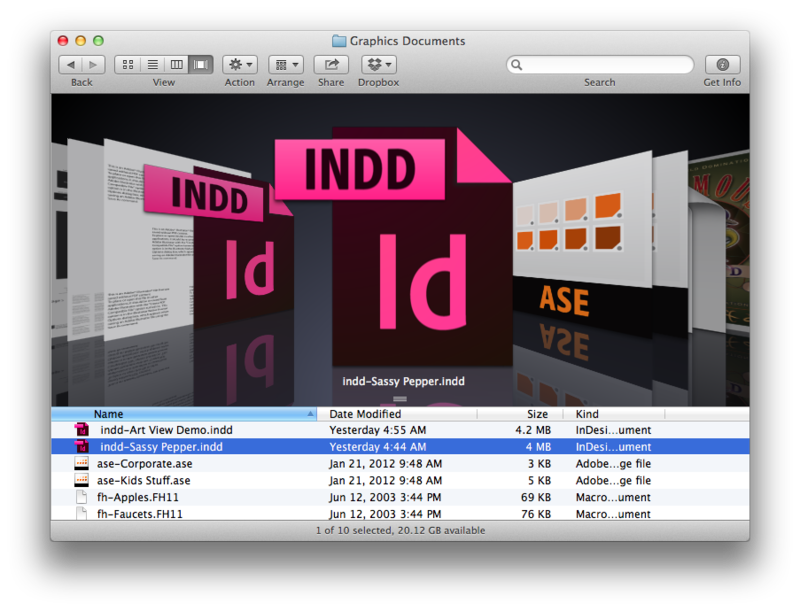 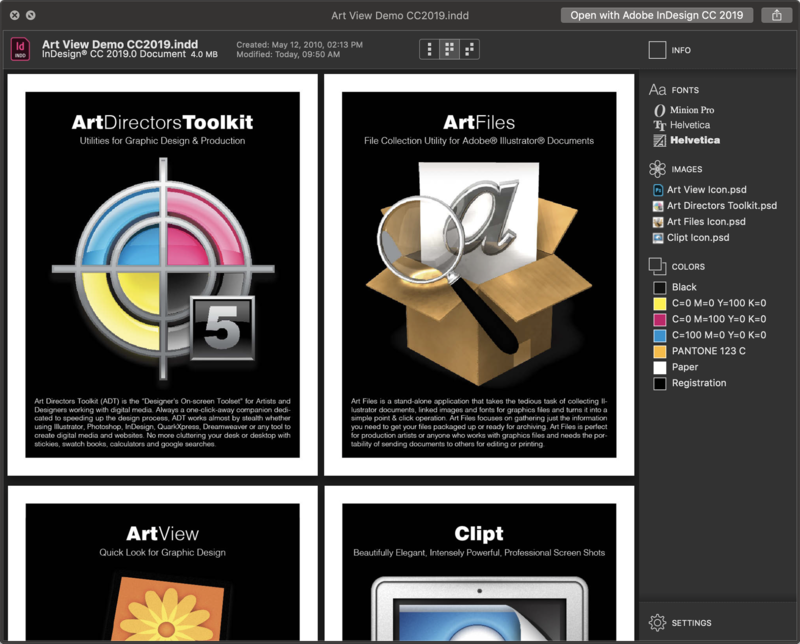 Preview Creative Cloud and Creative Suite documents. 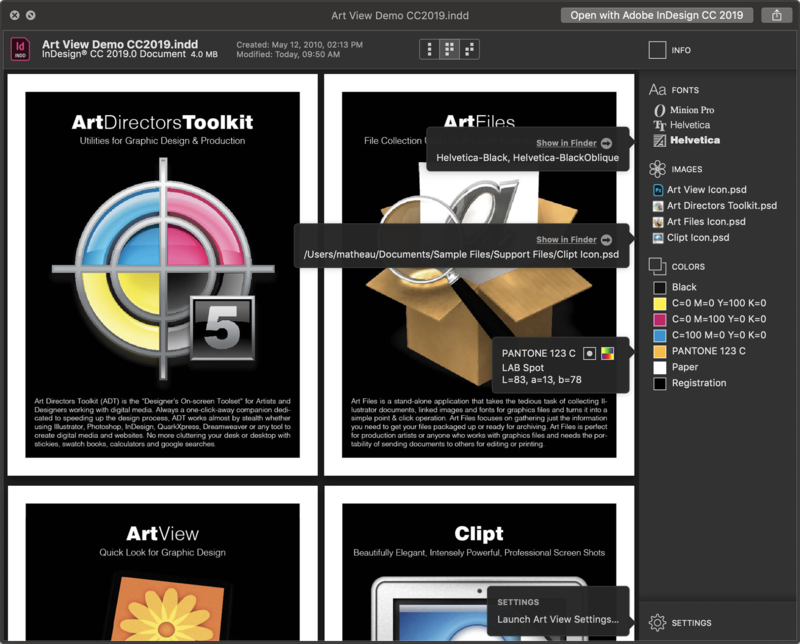 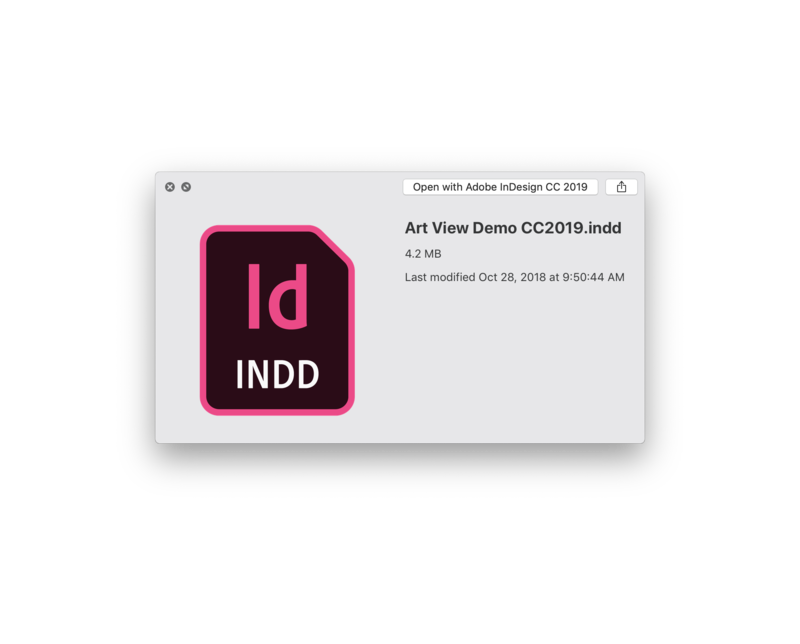 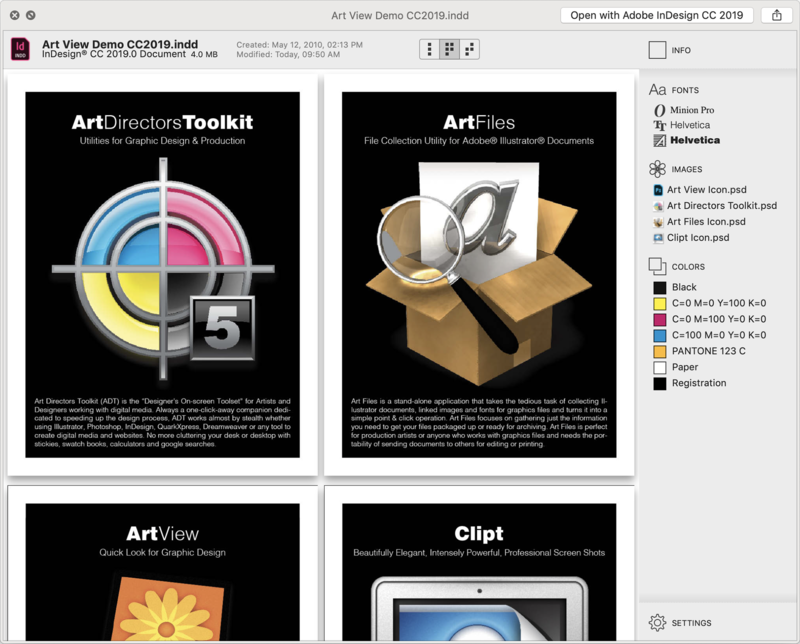 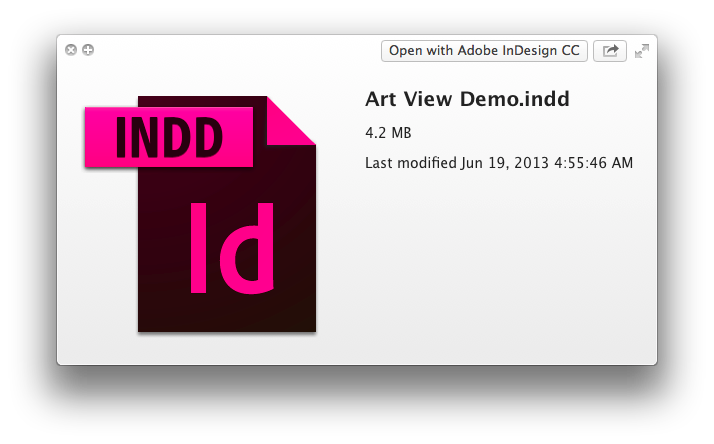 Art View improves Quick Look icons, thumbnails and previews for Creative Cloud and Creative Suite users. 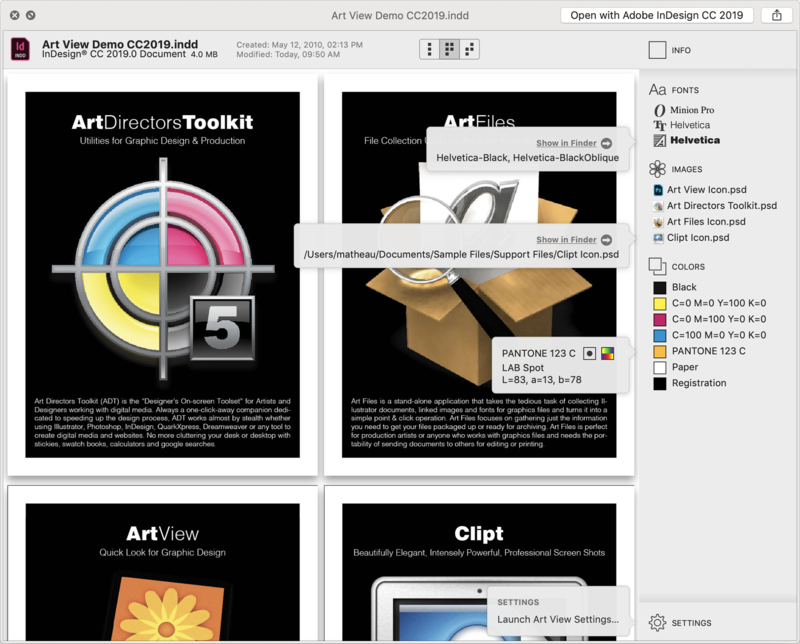 Now compatible with macOS 10.14! 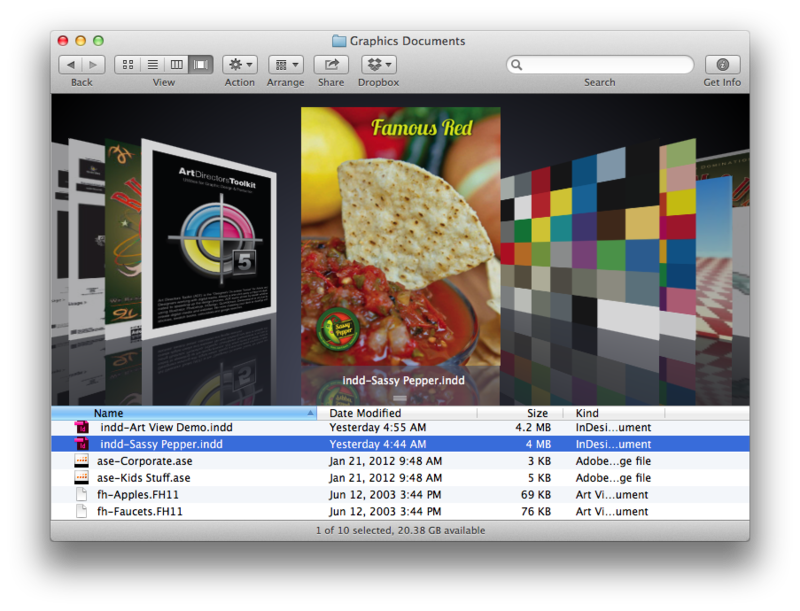 Clicking on fonts, images and colors gives you more info and options. 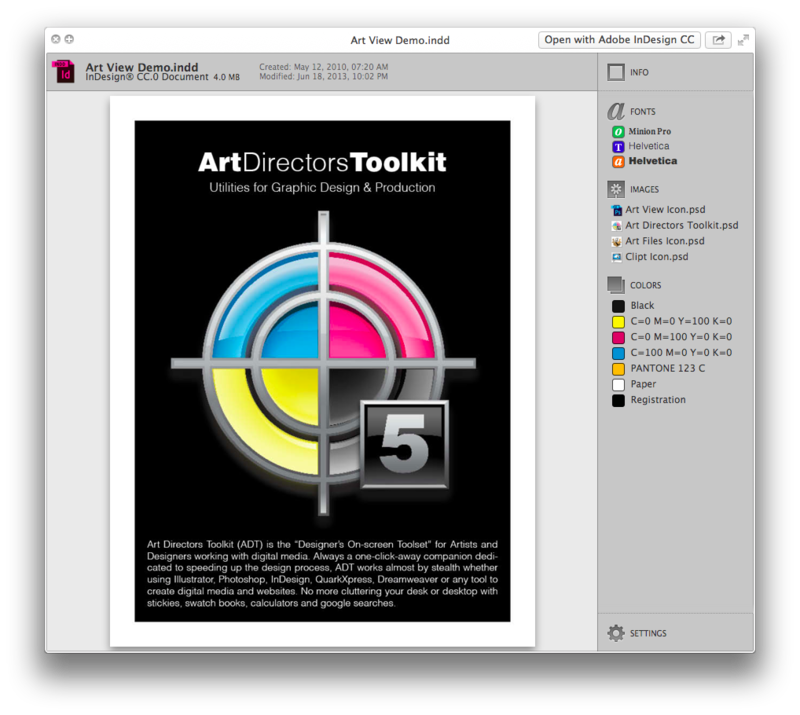 Compatible with Adobe® Illustrator®, Adobe® InDesign®, Adobe® Swatch Exchange, and Freehand MX.